These science fair projects for 5th grade make hands-on science and math fun! 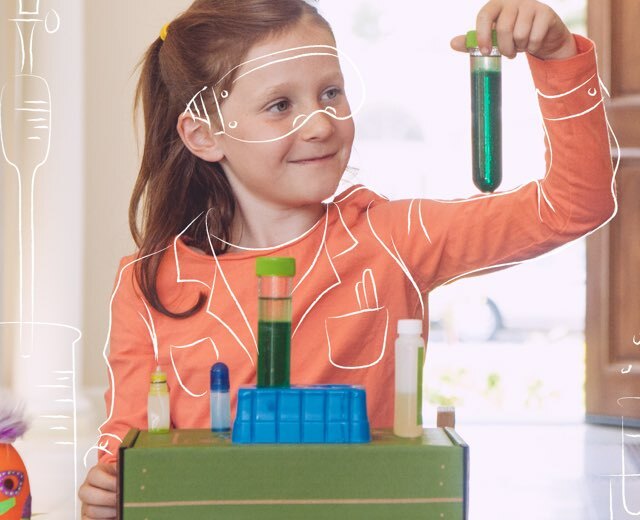 Here at KiwiCo, we’ve developed easy-to-follow experiments that are perfect for 5th graders to explore all kinds of topics, from chromatography to photosynthesis! Don’t want the learning to stop? 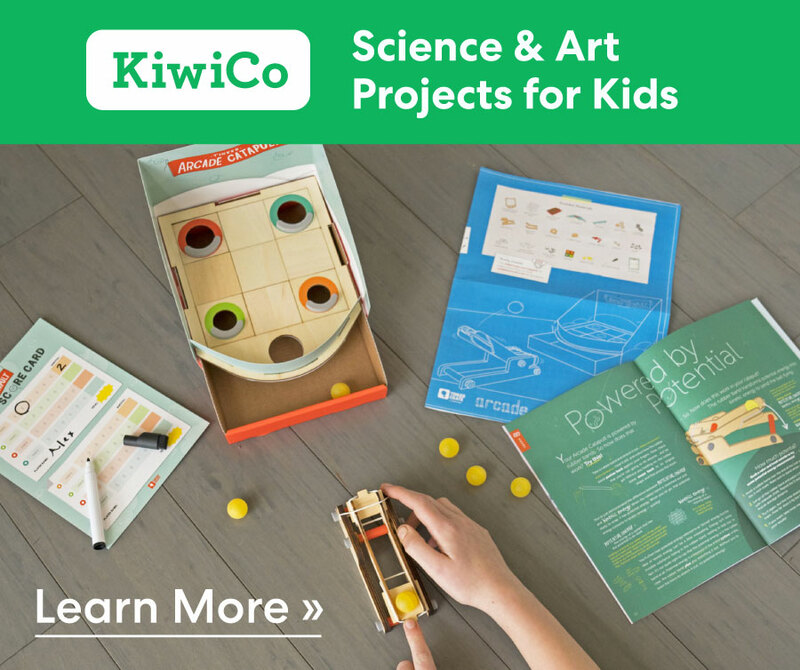 Check out our line of engineering kits that are perfect for 5th grade students. Dry ice, the solid form of carbon dioxide, is a super fun and accessible way to play around with the physics of cold materials. In this experiment, we use dry ice to create self-filling fog bubbles. See how big you can make your bubble, then pop it and watch the fog cascade across your table! Polymers are really big molecules, made up of lots and lots of smaller molecules joined together. They can make materials bouncy like a rubber ball, stiff like a plastic toy, or stretchy like a piece of gum. One great way to play around with polymers — and to do some hands-on experimentation with chemistry in general — is to make your own slime. In this experiment, we uplevel your standard green goo to a jet-black magnetic version that will magically move and dance without you even touching it! For some extra experimentation, try varying your ratio of iron oxide to glue to liquid starch and observe the results. Depending on your ratio, the slime can either be very thick or thin and it will interact differently with the magnets. What combination worked the best for you? Have you ever seen hot air rise? In this project, explore the physics behind thermal air currents (hot air rising) by harnessing them to power your own spinning flower! Note that this project uses fire and paper, and should only be attempted with adult supervision. Happy spinning! Have you ever wondered why the Statue of Liberty is green? It’s because of a process called oxidation – a natural weathering process that occurs when air and water react with copper! Try this experiment to recreate the oxidation process artificially! Oxidation happens naturally when oxygen in the air combines with bits of a metal. They only combine if there’s some water in the air, and acid or salt (like from seawater) will help speed things up. Together, the oxygen and the metal make a new compound called an oxide (because there’s oxygen in it, get it?). Lots of metals oxidize just from the weather; rusted iron is actually a chemical called iron oxide, and the blue-green verdigris on copper statues like the Statue of Liberty is copper oxide. For a copper statue or an aluminum can, the oxide forms a thin layer over the surface that protects the underlying metal. Once that layer is oxidized, the reaction can’t go any deeper. But for an iron gate or a steel rail, the oxide breaks apart the surface of the metal, letting the oxidation reaction eat deeper and deeper until there’s nothing left. With this chemistry project, you’ll be able to see oxidation happen overnight! Can you cut through an ice cube with a piece of wire and a couple of weights? Find out with this simple science experiment! Hint: It’s all about the quirky physics of water. A weighted wire is going to cut through an ice cube, but somehow leave the ice cube whole after it passes through. This may sound like that magic trick where the assistant gets sawed in half, but there’s no magic about this! This happens because of another quirk of water physics called “regelation.” Ice melts into water because of pressure, but once that pressure is gone, any ice above or around it will cool it back down to freezing. Essentially, the ice refreezes itself shut behind the wire. As you watch this experiment happen, see if you can spot any difference between the ice behind the wire and the rest of the ice block.